Thanks to you, the 1,000 Books Before Kindergarten program was implemented in the Fall of 2015. To date, 74 children have signed up for the program with more children signing up each day! 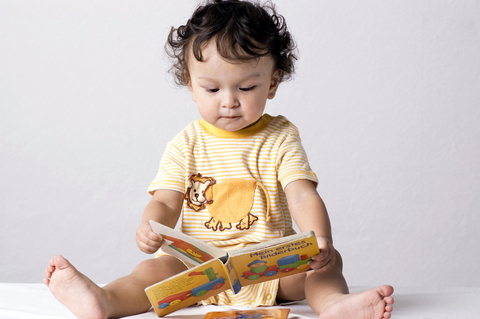 Information from early literacy experts and research shows that the more children, from birth to age 5, are read to the more prepared they will be to learn to read when entering kindergarten. Each participating child will receive a keepsake booklet to record the stories read to them. In addition, the booklets will contain helpful literacy tips for parents to use as their child grows. Each child will also receive 5 books at various milestones as incentives to complete the program. Reading 1,000 books to a child before they begin kindergarten is a very attainable goal. If a child is read 1 book a day in 3 years that’s 1,095 books! Many children, of course, will hear 2 or 3 books per day thus allowing those children who start at a later time to have the opportunity to complete the program before entering kindergarten. Instilling the lifelong love of reading in young children. Reinforcing the parents’ role as their child’s first and best teacher. The estimated cost of this project is $25.00 per child which will cover the five books, a book bag, small incentives and the record booklet. The Central Library’s Children’s Department will be partnering with the East Branch on this project in order to provide this service to all the eligible children and families in Holmes County.